Usually tender and flavoursome, we've left the bone in these lamb rumps for added sweetness. A natural bite, they're best roasted whole to medium-rare. Ensure the cut is at room temperature by removing from the fridge at least 30 minutes before cooking. Get your grill or pan smoking hot. At the last minute, season well with our On The Lamb Rub. Get stuck in, and enjoy! 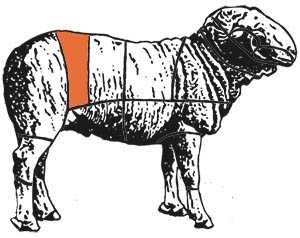 A great way to explore different lamb cuts.